In his book Ocean Notorious, New Zealand writer, photographer and sailor Matt Vance threads history, science and good old fashioned armchair travel into a riveting read. In 1953, with the stroke of a pen, the most important ocean on the planet disappeared. I read this book in preparation for a trip to the Subantarctics, which was unfortunately cancelled. It did exactly what I needed it to, though: inspired, informed and excited me for the impending voyage. For many years, Vance worked with Rodney Russ as a guide and lecturer on voyages to the Subantarctic Islands and Antarctica. He knows the region well and his passion for sailing, the nature and history shines through in his writing. Depending on who you are, he’ll either make you want to jump the next ship to the Southern Ocean, or make you glad you can enjoy the experience vicariously without leaving the stable footing of home. This is the one ocean that has no land to break up the sea’s endless circuit. Even on the calmest days, it has a constant heave from the west. On the worst days the size of the swell can make your heart stop. Ocean Notorious has three parts: Islands, Ocean and Ice. It forms an outline of a kind, a voyage from southern New Zealand to the Subantarctic Islands – with their strange creatures, plants and fascinating histories – to the wild oceans of the Furious Fifties and Screaming Sixties, before reaching the icy expanses of Antarctica. Plenty of history has been squeezed into the fraction of time humans have been intermittent visitors to the Southern Ocean. Vance fits a lot of this into his relatively short book, including the poor souls stranded on the Bounty Islands for nine months (the longest period of human habitation on the Bounties), the race to claim Macquarie Island for sealing or the coastwatchers stationed on Campbell and the Auckland Islands during World War II, keeping an eye out for German raiders (and, when the Germans failed to show up, turning their attentions to the natural history of their wartime homes). Vance has a very light, poetic touch. He knows how to keep a reader hooked and occasionally shock and surprise with what comes next. There are light-hearted moments and others that will give you cause to pause and re-read passages. Without wanting to spoil anything, some of the passages about early Antarctic explorers are among the more poignant pieces of writing I’ve read on the subjects. 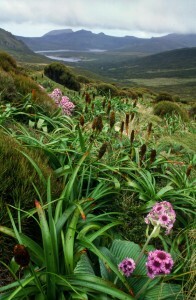 Megaherbs on Campbell Island, iStock. Throughout the book the history and science of the Southern Ocean and Antarctica are neatly intertwined with more traditional armchair travel reading. Vance straddles this divide so well that it’s barely noticeable that you’re switching between technical information and just enjoyable tales. I was surprised not to find recommended reading provided at the end, mostly because Vance has clearly spent a lot of time researching the various histories and biologies of the places he talks about so I expected some of that detail to be provided for readers (which I particularly wanted since I was reading in preparation for a trip). But that’s the only thing I could find to criticise. All in all, Vance has written a beautiful book (and credit to Awa Press for making it look and feel equally beautiful). At under 180 pages, I chewed through it over two evenings. I’ve since skimmed through, picking back over my favourite parts and using the extensive index to dip back in. I could easily see this being a well-thumbed book, often pulled off the shelf to answer pressing dinner conversation questions about explorers or quirky biological or Antarctic facts. 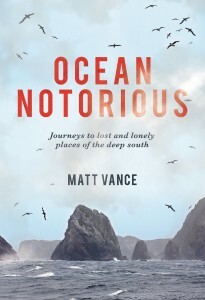 Ocean Notorious was published by Awa Press and will run you about NZD$40. 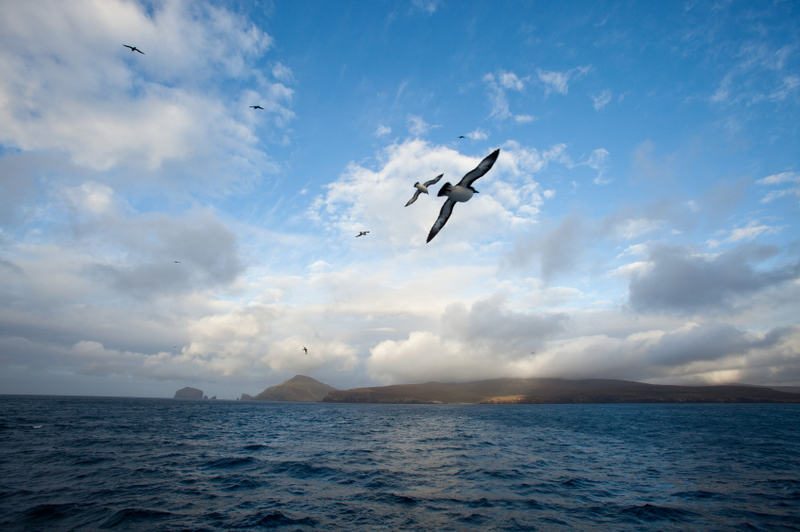 Featured image: Albatross over the water looking towards Campbell Island, iStock.